Human beings are just one leaf of the appoximately 1,750,000 on the Tree of Life that represents all the species that make up Life on Earth. 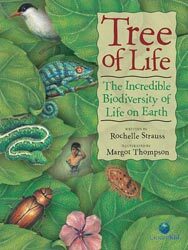 Taking the model of the tree, this great book introduces children to biodiversity and the impact that even tiny changes within one species can have on ther leaves, twigs amd/or branches. it’s packed with bites of information, numbers and ideas about ‘Becoming Guardians of the Tree of Llfe. Labelled close-ups of species emerge from the tree, each drawn on their own leaf – and the diagram of the tree showing how much is taken up by each category of species is particularly effective. It is the perfect companion to other books in Kids Can Press’s CitizenKid series. A beloved cherry tree sown from a seed brought to Vancouver from Japan by Naomi’s grandparents becomes a symbol of home when Naomi and her family are interned as enemy aliens during the Second World War. Only many years later are Naomi and her borther Stephen able to return and see their old home again – and the cherry tree, old like them, calls to Naomi offering comfort, love and healing. 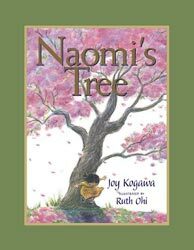 Based on author Joy Kogawa’s own experiences, this is a deeply moving story enhanced by the sensitive, gentle illustrations (even if the original tree did have white blossom!). A picture book companion to chapter book Naomi’s Road, together these books evoke empathy and provide an intergenerational connection, as well as a springboard to discussion about internment. 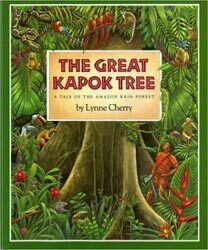 The Great Kapok Tree is a fable for our times, and a modern classic that has been translated into many languages. As a man takes a rest from chopping down a tree in the Amazonian rainforest, all the animals whose habitat depends on the tree come and speak to him in his dreams, offering a myriad of reasons why he should reconsider his actions… Although the story is a legend, so it is perhaps a bit of a stretch including the book here, the message is pertinent, and Lynne Cherry offers an accurate depiction of the flora and fauna of the rainforest. 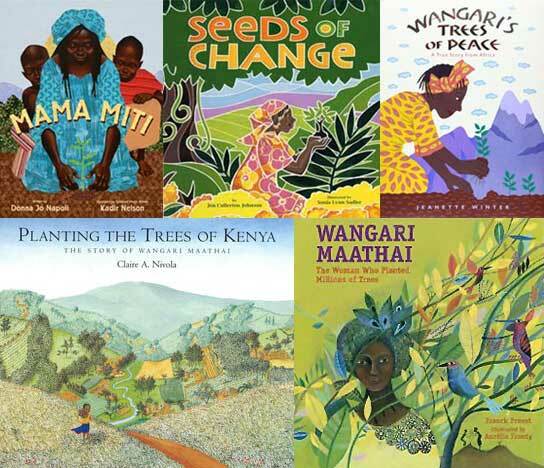 A short introduction and afterword both contextualise Wangari’s life regarding the relevance today of what she achieved, in the past tense – and then the main narrative is delivered in the present tense, really getting across the urgency of her quest to plant trees and the personal suffering behind her determination not to back down. The extensive back matter is powerful and includes emotive quotations from Unbowed. And every spread is a colourful feast for the eyes, a complex blend of simplicity and symbolism. 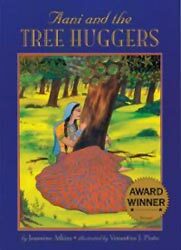 Aani and the Tree Huggers, based on the actions of women in the Chipko Andalan or ‘Hug the Tree Movement’ in the 1970s, is a powerful and inspiring story that really gets across Aani’s terror and bravery, as well as a commitment to peaceful protest.The colourful illustrations echo 17th-century Indian miniature painting and the Illustrator’s Note at the end is also very interesting. A family excursion to see the huge sequoias in California leads into the story of the person who probably inspired their name: the Cherokee Indian Sequoyah (1760/65-1843), who invented the writing system for the Cherokee language. Derided at first, Sequoyah persisted, and soon people came to appreciate his achievement. 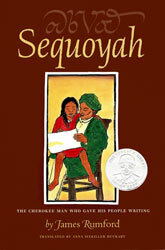 Sequoyah is beautifully presented book and, as one has come to expect of James Rumford, the artwork is carefully constructed to reflect the essence of the story. The Sierra Club’s Tree Tales series focuses on iconic tree species from around the world, delving into their ecosystems and the birds, insects, reptiles and mammals that depend on them, as well as their many uses to local people. 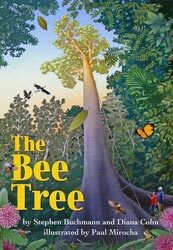 Barbara Bash is renowned for her children’s books about the natural world and her writing is an appealing blend of descriptive narrative and scientific explanation accompanied by cross-section illustrations of flowers or birds’ nests, for example. As well as being beautifully illustrated, the books’ presentation is further enhanced by the calligraphic script. A story-teller takes a boy Jelani on a journey through the history of his American and African ancestors and their struggles for freedom. The mighty baobab tree provides the thread of continuity throughout the story, which started life as a stage performance that has been performed by hundreds of children. 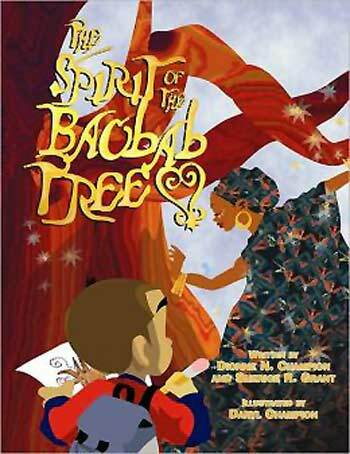 The Spirit of the Baobab Tree is a powerful story that uses fictional narrative to relate real history so that readers who share Jelani’s African American heritage feel empowered to make positive choices for their own futures. Amoako is a forester in Ghana and the text is narrated in his voice as he describes his work with a legal logging company – when and how trees are felled; the dangers and challenges; the ways trees are idenified and identifiable at all times; the process to beautifully crafted furniture via the timber yard; what happens with leftover wood so that nothing is wasted; and the forest regeneration programme running alongside the felling. 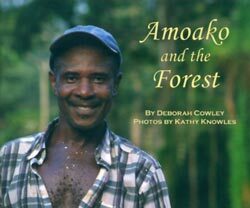 Stunning photographs offer a blend of Amoako’s personal story and informative, jaw-dropping images of trees throughout the logging process. 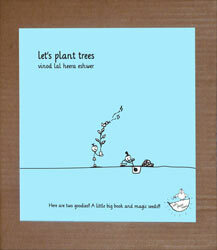 This attractive book offers plenty of reasons why we should plant trees. 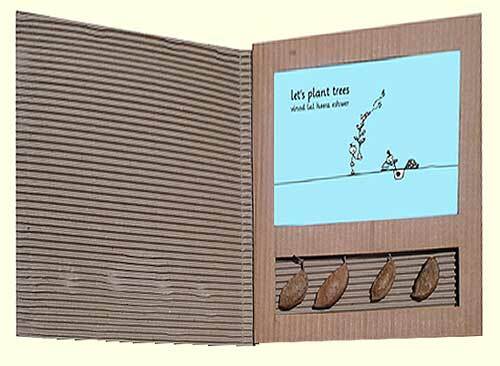 Its very simple text and cartoon drawings on a pale blue background pack a punch and make the book itself worth getting hold of to share with young children – but this is a book that not only urges action but makes action possible, by providing four large seeds of the pongamia tree, a native of tropical and temperate Asia. 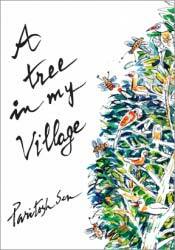 A deeply satisfying read for older children through to adults, this is a short memoir based around a ‘giant’Arjuna tree in both words and images from the pen of Paritosh Sen (1918-2008), a pioneer of the Indian Modern Art Movement. The tree obviously figured large in his childhood, growing up in a village in Bangladesh, and the filter of memory adds a layer of poetry to his minutely observed portrayal of the interplay between the tree and its many inhabitants, which in turn sets up a metaphor for a deeper understanding of ‘the human world’. Within the realms of the human interaction with the tree, there is also even a ghost story to add a frisson of the unexplainable. The vibrant pen and watercolour sketches are a joy; the text is rich and poetic. Anyone young or old who loves both words and nature would love this book. By focusing on the growth from seed (‘propagule’) to tangled island of a single mangrove plant, Lynne Cherry describes the ecosystem of plants, fishes, birds and animas – and indeed defense from coaastal erosian – that depend on the mangrove for their survival. When it reaches 100 years old, there’s a heart-stopping moment when two fishermen arrive. One proposes they chop down the mangrove to make way for a shrimp farm; the other, more enlightened, knows that the mangrove is in fact necessary to the survival of many of the young of the fish they catch to eat – and so they move on. 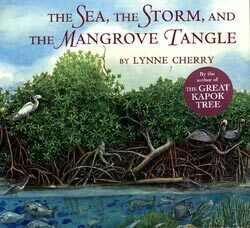 In her Afterword, Lynne Cherrymakes it clear that most mangroves have not been so fortunate and need our protection. While the focus here is on the mangroves in the Caribbean Sea, a map inside the front cover outlines mangroves around the world, and certainly the book’s message is universal: how long it takes for and ecosystem to grow, and how quickly and irrevocably it can be destroyed. 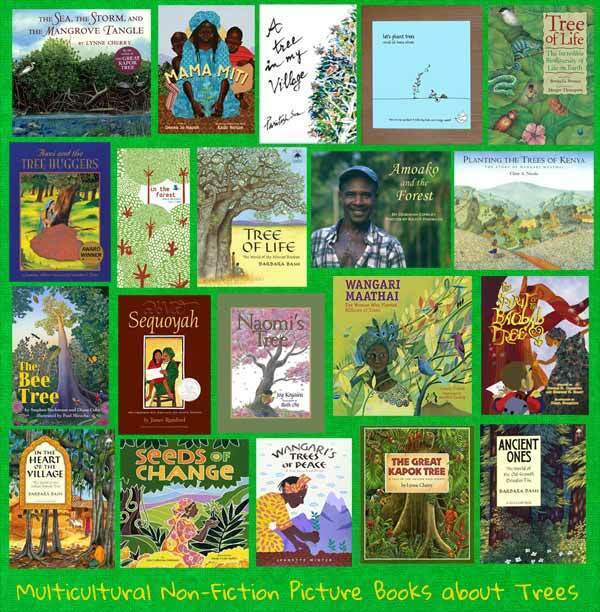 'Branching Across the World: Trees in Multicultural Children's Literature, A Tree in My Village, Aani and the Tree Huggers, Amoako and the Forest, Ancient Ones: The World of the Old Growth Douglas Fir, and the Mangrove Tangle, Anna Sixkiller Huckaby, Anouck Boisrobert, Aurélia Fronty, Barbara Bash, Charlesbridge Publishing, children's books about trees, Cinco Puntos Press, CitizenKid series, Claire A. Nivola, Daryl Champion, Deborah Cowley, Desert Giant: The World of the Saguaro Cactus, Diana Cohn, Dionne Champion, Dominique Clément, Donna Jo Napoli, Farrar Straus Giroux, Fitzhenry & Whiteside, Frances Foster Books, Franck Prévot, Gibbs M Smith, Harcourt Brace, Harcourt Children's Books, Houghton Mifflin Harcourt, In the Forest, In the Heart of the Village: The World of the Indian Banyan, James Rumford, Jeanette Winter, Jeannine Atkins, Jen Cullerton Johnson, Joy Kogawa, Kadir Nelson, Kathy Knowles, Kids Can Press, Kids Can Press (Canada), Lee & Low (US), Let's Plant Trees, Little Brown & Co., Louis Rigaud, Lynne Cherry, Mama Miti: Wangari Maathai and the Trees of Kenya, Margot Thompson, MWD article, Naomi's Tree, Non-fiction children's books about trees, Osu Children's Library Fund, Paritosh Sen, Paul Mirocha, Planting the Trees of Kenya, Rochelle Strauss, Ruth Ohi, Scholastic, Seeds of Change: Wangari’s Gift to the World, Sequoyah, Sequoyah: The Cherokee Man Who Gave His People Writing, Sherice Grant, Sierra Club Books, Sierra Club Tree Tales, Simon & Schuster, Sonia Lynn Sadler, Sophie Strady, Stephen Buchmann, Tate Publishing, The Bee Tree, The Great Kapok Tree: A Tale of the Amazon Rainforest, The Sea, The Spirit of the Baobab Tree, the Storm, Tree of Life: The Incredible Biodiversity of Life on Earth, Tree of Life: The World of the African Baobab, Tulika Books, Venantius J. Pinto, Vinod Lal Heera Eshwer, Wangari Maathai: The Woman who Planted Millions of Trees, Xlibris Corp.. Bookmark. They are both lovely, Catherine – and I’m just putting together an interview with Vinod Lal Heera Eshwer, so I’m looking forward to hearing more about Let’s Plant Trees, as I was captivated by it when I first saw it. Thank you, Aileen – looking forward to hopping in your direction! I’m thrilled to have found your site through the Kid Lit Blog Hop! Hope you will considering joining us at http://multiculturalkidblogs.com! We are a very active group and would love to have your input! We’re on FB at https://www.facebook.com/MulticulturalKidBlogs. Wonderful post! Thank you, Rebecca – I’d love to – I have been following you on Facebook and you have an amazing outreach of resources and activities. Just fabulous, thanks so much for joining us on the Kid Lit Blog hop, we are so delighted you found us. Thank you, again, Julie. The Kid Lit Blog Hop is great! Super collection of books! I have a similar post up on books about the power of trees and people that contains many of these great favorites. Thanks for sharing with Kid Lit Blog Hop! 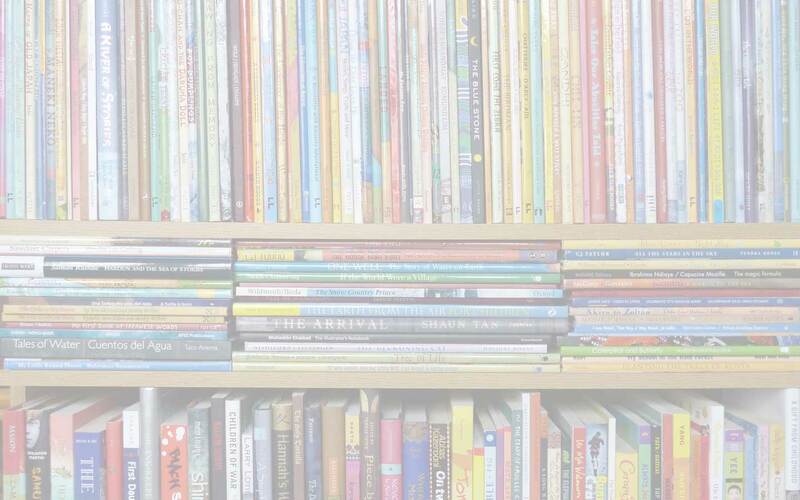 They are wonderful books, aren’t they – I’m heading over to take a look at your list now! Love all the multi-cultural books bloggers have been sharing. The cover for Naomi’s Tree is beautiful. Looking forward to sharing some of these stories with my grandsons. I hope he enjoys them, Stacie – I enjoyed sharing a number of them with my sons when they were younger. This is such a great resource! Thanks so much for posting it. It would be cool if we could get some young people do brainstorm tree-saving projects. Thank you, Jen. And yes, that would be a great thing to do with young people; I bet they’d come up with some good ideas.